Roanoke Times, 8-30-2012, Pg 10: Obama campaigns in Charlottesville (Home of UVa “The University”). Happy Picture of Students and supporters cheer Obama during a rally Wednesday PM in downtown Charlottesville. The can’t get a job commensurate with their college education and loans? They don't have a career -- just lucky to get a job? They find out what “deducts” are when they do get a job? 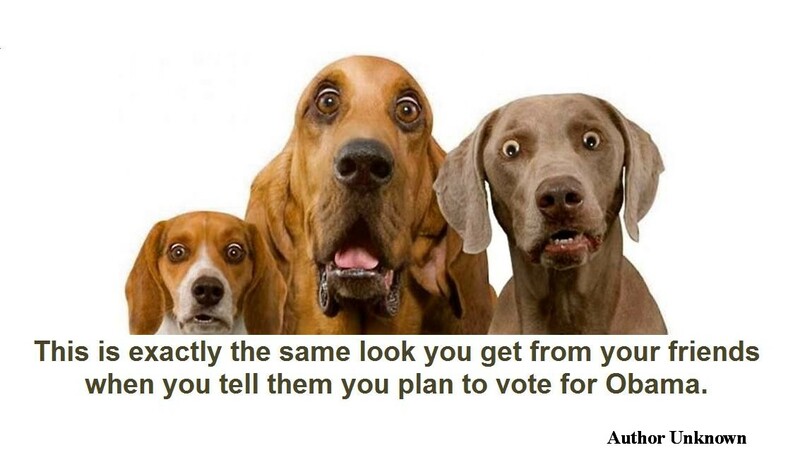 They realize it’s them that are going to pay off the Obama $16 TRILLION debt? They realize that Obama has degraded our country and economy into a third-world entity kowtowing to his friends in China and Russia? Obama, just like the Pied Piper just doesn’t get around to telling young people the cost and adverse consequences of his policies and actions. But: Don’t Worry be Happy! And just like Evita he buys gullible people with bribes and “bait and switch” gimmicks that result in more dependency, more taxes, more government controls and less opportunity and freedom for self-determination, development and growth. Idealist young people who have not yet worked a job, paid taxes, supported themselves and have not had to make the hard decisions of real life are easily manipulated by charismatic rock-stars and illusionists, but just as Siegfried and Roy discovered, the tigers of reality will have the final say over illusions and the price may be devastating. Their featured article claimed: Carl Marx is the answer to our economic challenges, the Republicans want the American working people to be unemployed and all would be great if only the labor unions controlled and ran our businesses. There seems to be no end to the nasty Democrats in the media and politics! “Yahoo News' Washington bureau chief was fired Wednesday after he was caught on a hot mic joking that Republicans are "happy to have a party" while black people drown. The comment was made by David Chalian during live coverage of the Republican National Convention in Tampa, and was an apparent reference to the convention getting underway while a tropical storm-turned-hurricane barreled toward the Gulf Coast. “This (Gustav) is not the hurricane we needed”! In other words a more sever hurricane would have totally disrupted the RNC Convention. It also would have resulted in lots more deaths, injuries and damage! Is that what the Liberals and Democrats needed and wished for? Since this type garbage flows down from the very top of their team's Vice President with his Danville “put y’all back in chains” how can we expect decent behavior from those who apparently don't know any better. - Click for some examples of just how nasty these liberal politicians and media people can get! During a stop in his hometown, Mitt Romney joked that no one had asked to see his birth certificate. The Obama team came unglued complaining that Obama’s published birth certificate is proof positive that he was born in Hawaii and no one should mention this subject again! Perhaps they’re overly sensitive for good reasons. The internet continues to have a steady stream of Birther Conspiracy stories that contain enough issues that may appear to the average person to be creditable questions that no one appears to be pursuing. 2. The birth certificate that the White House released lists Obama's birth as August 4, 1961 & Lists Barack Hussein Obama as his father. At the time of Obama's birth, it also shows that his father is aged 25 years old, and that Obama's father was born in "Kenya , East Africa". father have been born in a country that did not yet exist ? This cannot be, because the hospital(s) in question in 1961 were called "KauiKeolani Children's Hospital" and "Kapi'olani Maturnity Home", respectively. The name did not change to Kapi'olani Maternity & Gynecological Hospital until 1978, when these two hospitals merged. Another question comes from Obama’s book on his father. He states how proud he is of his father fighting in WW II. Barack Obama’s “birth certificate” says his father was 25 years old in 1961 when he was born. That should have put his father’s date of birth approximately 1936. WW II was basically between 1939 and 1945. Even in the latest stages of WW II his father wouldn’t have been more than 9. Perhaps there are good reasons for Obama and associates to continue to be sensitive to the silly Birther Conspiracy people. Of course this is all academic now and we don’t expect Obama to ever do a Bill Clinton “I did that” thing on national TV. The liberal media sent over 100 investigative reporters to Wasilla Alaska, the day after Sarah was designated a VP candidate, to dig up and or invent any possible dirt on her. How many have been sent to research, analyze and question Obama’s claims of citizenship? As the Watergate saying goes: you don’t know and you don’t want to know! So until you (the liberal media) know – don’t knock The Birthers! Some observations at the start of the 2012 Republican National Convention. Category-1 Hurricane Isaac delays the Convention by one day. It is first hurricane to hit US since 2008. Wasn’t man-made global warming AGW supposed to make hurricanes bigger and more frequent? So much for Obama’s science by consensus! The Republican Convention will open with an Invocation by Rabbi Meir Soloveichik, who teaches about the link between Jewish ideas and US democracy. The Democrat Convention Invocation will probably be by “The Rev. Wright”. Now there’s a contrast for the voters! Paul Ryan will be designated the Republican Candidate for Vice President. What a breath of fresh compared to Joe “put y’all back in chains” Biden. Biden’s erratic behaviors and statements have now become “expected” and not worthy of serious comment or concern. Is he not a heartbeat away from the Presidency? What a contrast between Ryan and Biden! Ann Romney will be a featured speaker at the convention. What a fine lady, mother and wife with a wonderful positive attitude about what makes America Great. What a contrast to Michelle’s racist graduate thesis and her “For the first time in my life I’m proud to be an American” statement. Mitt Romney will be designated the Republican Candidate for President. Romney is the voice for the American standard for individual responsibility, the free enterprise form of economics, governmental fiscal responsibility, and peace through strength. What a contrast to Obama’s major agenda of dependency, government dominance, tax and spend, class and race dividedness, socialism and personal arrogance. Talk about a clear contrast and choice. While celebrating the conventions; Don’t loose you head by dancing in Sharia country. Seventeen people at a party in Kabul Afghanistan were beheaded at a dance party. When the Koran and Sharia Law says “no dancing” they apparently mean “no dancing”! What a contrast to the continuing liberal media’s marginalizing concerns about the spread of Sharia Law taking effect across the world, including Westernized Countries. Roanoke Times, 8-23-2012, Pg 12: Editorial: Roanoke hits carbon diet plateau. Roanoke’s carbon footprint took a baby step in the wrong direction. Shrinking it requires mindfulness. More driving within the city has offset other reductions in CO2. Apparently the Roanoke Times does not have any mindfulness! But they do have chutzpah to be tracking and commenting on the efforts by others to address the CO2 footprint while ignoring their own huge footprint and impact not only on CO2 emissions but on overall environmental impacts. This blog has been “encouraging” and sometimes “cajoling” the Roanoke Times since June 2005 to step-up to their corporate responsibility and address their environmental impacts and not just sitting up there in the bleachers pointing at others. Over these seven years the Roanoke Times has used a massive amount of resources from cutting the trees in the forest to driving the paper to my mailbox. Apparently they are just not going to step-up to their green and sustainable obligations and responsibilities and participate with the other businesses in the Roanoke area. they’re just making themselves look more pathetic with each installment. Roanoke Times, 8-25-2012, Pg 1, 6: Gunman sparks shootout in NYC; As police fired on the suspect near the Empire State Building, at least nine people were hurt. A lone gunman shot and killed his ex-boss on the street outside the Empire State Building in NYC. Police opened fire upon him with their semiautomatic pistols killing him and injuring nine bystanders with a hail of gunfire. Mayor Bloomberg declared that the police action was acceptable and within rules of engagement. “On September 16, 2007, seventeen Iraqi civilian fatalities and twenty injuries occurred in the Blackwater Baghdad shootings in Nisour Square, Baghdad. The fatalities occurred while a “Blackwater Personal Security Detail (working directly for the US government) was clearing the way for a convoy of US State Department vehicles transporting diplomats to a meeting in western Baghdad with officials of the United States Agency for International Development”. These guards were in a “war zone” and not on a NYC street; and their convoy was attacked by Radical Muslim Terrorists and not a lone gunman focused on a single person. “In September 2008 the U.S. charged five Blackwater guards with 14 counts of manslaughter, 20 counts of attempted manslaughter and a weapons violation”. “On April 1, 2011, the Associated Press reported that the FBI scientists were unable to match bullets from the square to guns carried by the Blackwater guards and investigators found foreign cartridge cases not used by U.S. or Blackwater personnel”. These Blackwater guards were hounded and prosecuted and persecuted in spite of the evidence and their role in a combat mission protecting US Government Personnel. What will happen now to the NYC cops involved in this friendly-fire incident? Are they going to be hounded like the Blackwater personnel were? Hopefully these cops who did the best they could in a “fire-fight” situation will be held criminally blameless. Why weren’t the Blackwater personnel also held blameless? A Desperate Obama Turns To Bill Clinton for campaign help. This is the Administration that’s “positive for women”! Calling upon a man who distinguished himself by sexually exploiting and abusing young women and widows! Using State Troopers as his procurers and intimidators! Of course Bill’s know for “Jobs” alright! No doubt about that! What do the NOW girls have to say? What do the Editorial girls at the Roanoke Times have to say? “Hurray -- Good Idea”? Anything to get Obama reelected! Watch what Democrat Senator Claire McCaskill had to say about the 2012 DNC speaker Bill Clinton. "I think he's been a great leader but I don't want my daughter near him." McCaskill said a few years ago. One might wonder if Barack and Michelle are letting Bill get near their daughters? On second thought will Bill ever be alone with Michelle? Of course that depends upon your definition of “alone”? It’s amazing what desperation will cause people to do; even presidents! If you voted for Obama in 2008 to prove you’re not a racist. You’re going to have to vote for Romney in 2012 to prove you’re not an idiot! Roanoke Times, 8-22-2012, Pg 8: Appeals court tosses EPA power plant regulation. “The court found that the feds also broke the law by dictating the measures to be used to reduce emissions instead of allowing the states to design their own plans, as the statute demands”. “According to a scoreboard by the American Action Forum, Tuesday’s rebuke from the D.C. Circuit marks the 15th time that a federal court has struck down an Obama regulation and the sixth smack-down for the Obama EPA". It’s now clear why the Obama’s have lost their law licenses. Although at one time they were trained and licensed lawyers; they apparently are unable to read and understand and carry out the law! These Court smack-downs are just the tip of the iceberg of Obama’s malfeasance relative to his “executive fiats” and summary-executions. And that’s not the bad news! The bad news is that the major liberal media stands totally silent as complicit partners in his malfeasance! What a striking contrast to their hounding and badgering Bush on every activity he undertook. We haven’t seen anything like this media behavior since Pravda was established by the Russian Communist Party. This is the Fourth Estate that claims to be the auditor of government wrongdoing? Instead of that they have become the PR arm of the DNC and Obama’s reelection team. How sad is that! No wonder the American people no longer trust the "news"! Roanoke Times, 8-21-2012, Hidden way back on Pg 7 in small print: State voter ID law passes muster. Unlike the steady stream of race-baiting anti-Voter-ID front page articles (attached blog items go back to 2006) in the Roanoke Times, this validation of the McDonnell Republican Voter ID law was upheld by none other than Obama’s AG Eric Holder and it's covered way back in small print on page 7. Why are we not surprised? Based on the Supreme Court upholding reasonable and prudent Voter ID laws, apparently even Eric Holder couldn’t find a “racist rope” in the new Virginia Law. I’m pleased that there will be fewer fraudulent voters who will be cancelling my vote! Hope that’s not a racist view and statement! Wouldn’t want to be politically-incorrect! Why did Virginia have to submit their law to Holder anyway? Oh yes – it’s because Washington has continued to designate Virginia as a racist state. You know – the first state to elect the first Black Governor in 1989 and the state that three years ago voted for Obama. Clearly these Virginia folks need their every move audited by a true color-blind AG like Holder. I’m looking forward to being invited to be an observer at the next eat-crow dinner sponsored by the Fair and Balanced Editors of The Roanoke Times. I'm sure photo-ID will be required. Obama and his associates have a very tenuous and unpleasant relationship with the members of our military. There are countless videos of troops standing stoic during meetings with Obama clearly demonstrating their view of “The Chief”. In June a group called “Veterans For A Strong America” Responds To Obama's Osama bin Laden political publicity campaign with a YouTube video. The Obama reelection team reacted with Chicago-politics behavior. Recently a group of retired Seals and Intelligence Officers authored and released onto YouTube their view that the Obama team not only took unearned personal credit for the risk and accomplishments of our military personnel, but did so in such a manner that secret military operational materials were leaked to the liberal-media and Hollywood fellow-travelers for political purposes. All this Obama-Military strife has been building since he took office and included the famous General Stanley McChrystal – Rolling Stone Magazine fiasco. Also Back in 2010 Obama court marshaled Navy Seals who caught the animals that killed and burned and hung from a bridge the Blackwater contractors who were working for the US in Iraq. Obama court marshaled them because the Muslim Terrorists claimed the Seals punched them. Obama disrespected all the dead and wounded at the Fort Hood massacre; first because he refused to identify the killer as a Radical Terrorist Muslim; second by designating this horrific attack upon US military personnel as Workplace Violence! Obama has not yet once defined our enemy as Radical Terrorist Muslims and therefore has forfeited his position as our military leader. If a leader refuses to identify those who are killing our people and our soldiers he clearly has abdicated his office. The military, after many years of data collection, interrogations, analysis and pursuit, found and killed Osama bin Laden. What followed was the most distasteful self ingratiating behavior ever displayed by any leader of this County military or civilian. The following blog item presents a very clear distinction between two leaders and their persona, leadership and values. To add salt to the wounds, Obama declares he is OK with the prospect of “Budget Sequestration” that will gut the military budgets five months from now (Jan 2013). Clearly every military person is painfully aware of Obama’s distaste and distain for military service and he clearly has no stake in supporting them. Apparently the US military does not fit well into Obama’s philosophy of appeasement and unilateral downsizing America to a third world country. How very sad for our future! A rambling vain attempt to bolster and defend Obama’s removal of $716 BILLION from Medicare and transfer it to ObamaCare while bemoaning the Romney-Ryan plan to retain the current Medicare benefits for those over 55, and to restructure the program for those under 55 who now have no hope of Medicare being a viable program when they need it. Their “liberal moral sin”: Scrap ObamaCare! “Meanwhile, the Medicare health care fund for the elderly is headed for exhaustion in 2024”. No word from Obama and the RT Editors on how they will fix this massive problem! Oh Right – massive new taxes – that will solve everything! The RT Editors vain attempts to defend Obama and Biden for their outlandish statements made here in Virginia speak volumes to their slant and bias. The facts are that the Progressives-Liberal-Democrats are shocked that the introduction of Paul Ryan as VP has resulted in the real election issues being forced back onto the front pages of even the most left-wing media and they are now reacting out of fear and panic. WSJ, 8-20-12, Pg B1: Shell races the ice in Alaska. Sea ice in the Chukchi and Beaufort seas of the northern Alaska coast was slow to break up this year, leaving the drilling areas (off Wainwright, AK) inaccessible much later than anticipated. This is amazing! There’s still sea ice in the Arctic Ocean and there’s a Shell oil drill-ship that’s going to drill there when/if there’s an ice break-up! Apparently the ice in the Arctic Ocean off Alaska hasn’t yet heard about the so called “devastating global warming” that the AGW-Alarmists have declared has decimated the entire polar region. That wild and crazy Obama! Drill Baby Drill! One ship will drill off Wainwright Alaska for perhaps two months this year! That should get that Sara Palin to shut-up! Just imagine the impact this Obama initiative will have on gas prices and our energy independence from our enemies! Has there ever been such a pathetic leader in the White House. He even makes Jimmy Malaise Carter look good! Roanoke Times, 8-17-12, Pg 1, 14: CO2 emissions in US drop to 20 year low. Many of the climate scientists were surprised because the change was caused by market and economic forces and not government regulations. Private industries on private lands are generating large amounts of natural gas that burns with less products of combustion. Industry is using that awful fracking process to produce this fuel. Obama and the EPA are busy getting that shut down ASAP! Certainly don’t want to have any additional domestic production of energy. What a surprise? We and the world are now in the fourth year of a major recession and we’re not consuming as much energy as we were when people had jobs and were building things. Other major CO2 generators are production of fertilizers, cement and metals all of which are in economic recession. Perhaps this all fits in well with Obama’s plan to choke off American energy and reduce us to a third world county under the guise of saving us and the world from CO2. 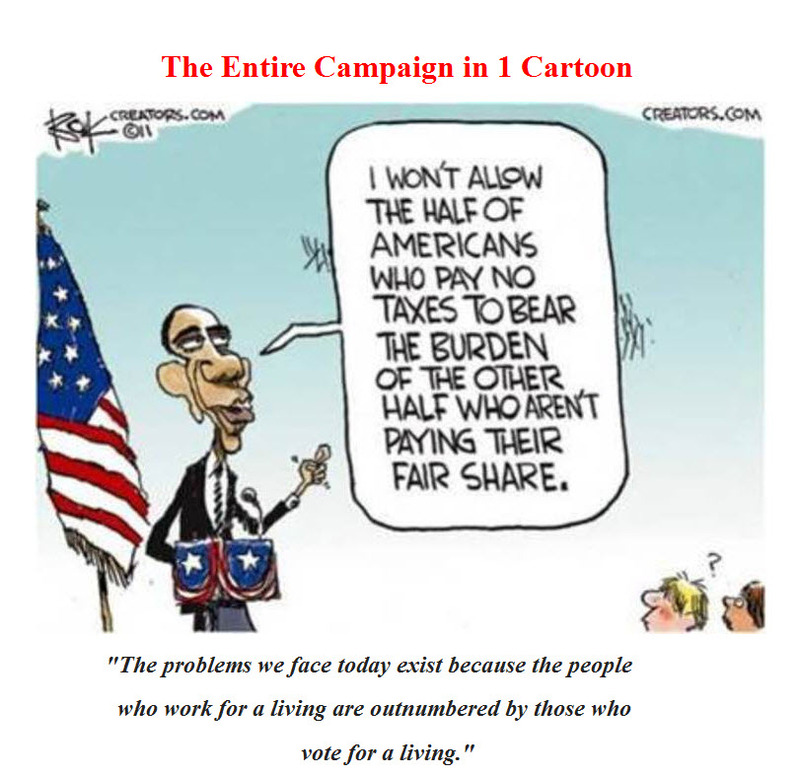 However, as Obama tries to drive his agenda down American throats there is a world reality. China produces four times as much coal as the US. So much for saving the world from coal fired power plants. All this is playing out in the theatre of debunked so called "alarmist climate scientists" like Michael Mann, who was quoted in this article. 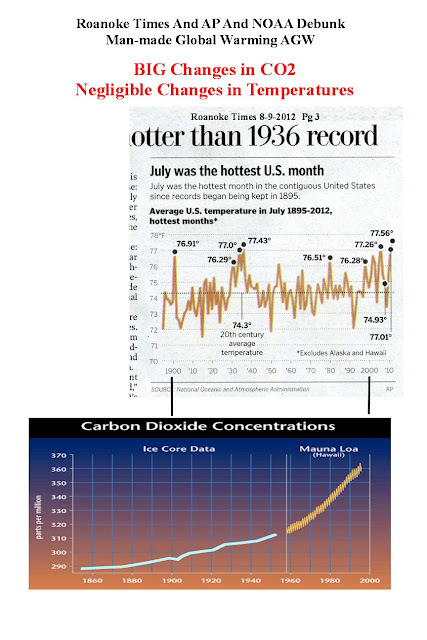 His “hockey stick” temperature chart that was the centerpiece of Gores Inconvenient Untruth has been completely discredited by both the Alarmist and Skeptic communities. Why is he still quoted in articles like this as if he were a creditable source? It’s now clear that whatever global warming that may or may not be occurring is not primarily caused by mankind AGW. The Alarmist community has lost favor with the world community because of the reality of the actual data, the intellectual challenges from the Skeptics and the Alarmist over-the-top scare tactics for every weather event. The public have become aware that natural forces have driven the earth’s climate for all history and that the Alarmist models and hypothesis and scare tactics are not a scientific basis for predicting future climate or determining national energy policy. Obama is the personification of those who live today off the backs of tomorrow. Apparently a carry over character flaw from being a Chicago Street-Organizer. Raided the National Oil Reserves and now ready to do it again to vainly try to offset his failed energy policy. Raided $711 BILLION from Medicare to fund ObamaCare. Raided the National Check Book leaving us $15 TRILLION Overdrawn. Obama makes corporate raiders like Carl Icahn look like Sunday school boys! But unlike Icahn, Obama’s using “our” money! And he’s criticizing Bain Capital? The Obama chickens are coming home to roost and the American Taxpayers are left under the roost. Now all Obama and Biden have left to run their campaign on are negative nasty personal attacks and fanning divisive issues designed to fragment the American people into segments they’re trying to exploit and pander to with our tax dollars. We are now left with the sad spectacle of our President and Vice President behaving like the angry and desperate losers that they are. How sad is that? Roanoke Times, 8-17-12, Pg 1, 14, Baker’s business booms after Biden brush-off. A very young couple starting a bakery business in Radford VA were asked to host Joe ‘Put y’all Back in Chains’ Biden. They graciously declined the invitation based on comments recently made in Virginia by Barack ‘You Didn’t Build That Business’ Obama. Apparently word about this rebuff went public and viral and the young couple are having a short-term rush of good business. I hope they realize the peril they’re in. This slight will surely be repaid by the most vindictive politicians ever to occupy the White House backed-up by a street-army of the most unpleasant activists since the brown and black shirts of 1930’s in Europe. We can be sure that the modern equivalent of the SDS at Radford U and VT as well as those local good-old union folks will be cooking up unpleasantries as we type. The Wisconsin Governor Walker siege is proof positive of the capabilities of Obama’s Street Army. Roanoke Times, 8-11-12, pg Bus-6: Drought dries up corn yield estimates. A big article on the corn shortage and run-up in prices without one word reminding people that “WE’RE BURNING OUR FOOD IN OUR GASOLINE”. The ethanol industry consumes about 40% of the corn produced in the US! Obama has been campaigning in Iowa saying he wants to give more subsidies to the corn growers, but the Republicans aren’t cooperating. Somebody tell Obama that The Republican Congress has passed a Farm Bill, it’s the Democrat Senate that went home to campaign for 6 more years of misery without even bringing the Farm Bill to the floor. With record drought destroying crops across the country, corn prices are skyrocketing, and that is causing a world-wide ripple effect, including on the cost of the corn-derived gasoline additive ethanol. Corn prices are up 60 percent this summer, Christopher Hurt, a Purdue University economic professor, estimates. And now Democratic governors from Maryland, Delaware, North Carolina and Arkansas have joined ranchers, poultry farmers and the United Nations director-general for food and agriculture in asking the Environmental Protection Agency to waive the federal requirement that gasoline contain 10 percent ethanol. "It's universally acknowledged that ethanol is raising the price of food," Kenneth Green of the American Enterprise Institute said. "It's not lowering the price of gas. In fact, it may be raising the price of gas, and it's having a devastating environmental effect in terms of coastal pollution." Obama’s dogmatic fixation on Ethanol is one of his most disturbing defects. Ethanol destroys a major component of our food supply; it costs more to produce than gasoline, it consumes more energy to produce than it deliverers, it requires massive amounts of fertilizer and it produces CO2 just as burning any fossil fuel does. Following are some of this blogs focus on the folly of: “Burning Our Food”. Roanoke Times, 8-15-12, Pg 1, 16: Results on SOLs for math positive. Students in Roanoke region scored better than expected on the new tests. Results positive? Whoever wrote this headline certainly never read the article! Algebra I performance was 16 points lower than the state average, and geometry 20 points below. This is positive? This is better than expected? The bar chart on Pg 16 indicates that the Roanoke results are dismal for Algebra I and II and Geometry compared to their 2010 results and compared to Roanoke County and VA.
Clearly the positive spin on this is the result of concerns about alternative schools all over the country and especially in center cities, even in NYC the bastion of Albert Shanker’s teachers unions. The progressive-liberals are terrified that the public and the parents will come to realize that there are successful alternatives to “the public school system”. The Success schools are performing at the same level as NYC's gifted and talented schools that select kids based solely on rigorous tests.. There is a bright spot here! Apparently the Republican Administration in Richmond is lifting-up and not dumbing-down the educational standards in Virginia and they are continuing to require measurements and accountability. That will result in improved performance over time and that is a very good thing! After all, a mind is a terrible thing to waste (UNCF 1972). Today, Aug 14th 2012 marks a new low in Virginia politics dating back to Reconstruction. Has there ever been such a nasty and racist team in the White House as Obama and Biden and Holder? All Biden needed was a stove-pipe hat and a carpet-bag with his y-all crap! Apparently Biden found it necessary to be even nastier than Obama at his Roanoke Fire House #1 speech. Is this what “hope and change” means? Are these the type of people and leaders that represent America’s best? Are these the people of big ideas? Or are these just typical of Chicago gutter politicians? This is a great Country! We deserve better! Roanoke Times, 8-13-12, Editorial: Don’t lose sight of the woods for one tree. The recent contrast between hundreds of thousands of homes and businesses being out of power for over a week, primarily due to large trees falling upon power lines, and the “hug the trees kids” at VT is an education in how disconnected from reality we have journeyed. Even when VT cut down a tree that clearly had its interior trunk rotted out and represented a safety threat, the “hug the trees kids” swarmed around the stump like displaced bees trying to resurrect their nest. The looks on their faces was reminiscent of a scene from the “Children of the Corn”. Isn’t VT a Land Grant College? Do they not teach that: those things that are not busy growing are busy dying; and trees are a renewable resource; and that harvesting trees and reforesting is a basic part of agriculture? Where do they get these kids and their weepy sponsors in the liberal media? These are the folks that designate forests as “forever wild” and then find out that those very forests become “forever forsaken” because wildlife cannot live beneath old growth trees. That’s why 90% of Virginia’s deer live in my neighborhood getting fat and happy eating our bushes and flowers! They can’t browse where there’s no browse! All the old timers know that when hunting deer in the mountains the old adage applies “the deer follow the axe”. Perhaps the psychology behind this misdirected “trees thing” is the time it takes to grow a new tree. We seem to accept the cutting down of a beautiful field of crops because we subconsciously know that next spring there will be a replacement. However, with a tree it takes half a life time to get a big replacement; as if our lifetime is significant in nature’s scheme of things. Since I’m in the forth-quarter of my game, I plant fast-growing stuff and hope for the best! Apparently the Brits are getting sensitive over their immigration problems. At one time our European cousins criticized our immigration and welfare issues but now apparently “the chickens have come home to roost” and they don’t like it. This parody, sung to a Woodstock tune by Melanie of “I’ve got a brand new pair of roller skates, you’ve got a brand new key” is a bit over the top, but certainly highlights how our benevolent governments have warped social welfare systems and immigration policy into an ugly mess and major taxpayer burden. My parents came to this country as immigrants when they were teenagers; just in time to experience the Great Depression. They learned English, studied and worked hard and became naturalized citizens as soon as they could. They would be shocked and appalled to see what our government has done. Unfortunately there is a reference near the end to the "Wicked BNP Party". Clearly that party is not the answer to the immigration issues here or there. But the video speaks volumes of governmental immigration malfeasance. Aug. 6 op-ed, "A New Climate-Change Consensus," Environmental Defense Fund President Fred Krupp. Roger W. Cohen Fellow, American Physical Society, La Jolla, Calif.
Roanoke Times, 8-9-12, July was hotter than 1936 record and looks like another record from when records started in 1895. Compared to the earth’s history that’s very recent history isn’t it? I was conceived in 1936 and my parents were born circa 1895! That was long after Greenland froze over and wiped out Uncle Eric The Red and "our" entire Viking community! Darn that Little Ice Age! Let's get back to the Medevial Warm Period as soon as we can! Perhaps we're on the way - over! This article tries to explain that man-made Global Warming AGW is the cause behind this summer’s warm weather and the drought in the heartland. Oops! Instead, the authors inadvertently presented data that demonstrates that man-made CO2 is independent of today’s weather relative to the temperatures since the 1930s. By simply attaching the global CO2 chart to the temperature chart one sees that the significant increase in atmospheric CO2 has had no significant influence on the temperature and therefore no significant cause-effect demonstrated. One might imagine that adding 200 million people to the US and paving over a significant amount of it during this time period (1900 to today) would have made the high-temperatures a lot higher than they are now. Perhaps the earth is actually in a cooling cycle? Hopefully it’s now no longer necessary for the Alarmists to Hunt Me Down and Burn My House! Writing for Forbes Magazine, climate change alarmist Steve Zwick calls for skeptics of man-made global warming to be tracked, hunted down and have their homes burned to the ground, yet another shocking illustration of how eco-fascism is rife within the environmentalist lobby. U.S. Representative Paul Ryan (WI-1), the next Vice President of the United States, will bring to the 2012 Election stage what Obama and the Progressives and Liberals and the Democrats all fear the most: A Spotlight On The Real 2012 Election Issues. Contrary to Obama and his team and his liberal press, this election is not about having enough homosexuals in the military or enough homosexual marriages or if Romney is as wealthy as John Kerry (who married his money), or if Susie can buy enough condoms and birth control pills at the local CVS to ensure she has a happy weekend! Obama and associates will attack Paul Ryan with every nasty thing they can throw; however, out of this ugly brawl will shine a bright light upon the real issues and Obama’s totally failed presidency and dismal leadership record! President’s Speech Taken At Face Value: "You Didn't Build That!" Roanoke Times, 8-11-12, Pg 11: LTE Pick of the Day: President’s speech taken out of context by Jim Clifton of Salem Va.
Mr. Clifton’s assertion is that my Aug 5th LTE was unfair to Obama because I failed to get the meaning and content and context of his speech at the Roanoke’s Fire Station #1. I have reviewed the video of the speech multiple times. It’s not just his words; it’s the tone and tenor of his words. It’s also the manner he’s playing to the crown (clearly not many businesspeople there!). And most of all, it’s his body-language! Watch it – then watch it again. Why was he mocking businesspeople? Why ridicule their “hard work”? Why was he on this tact of marginalizing businesspeople in the first place? “You didn’t build that” was clearly not out of context – it was THE message! We are each left to our interpretation of the “why”, however, a major Obama political campaign attack is that Romney is a businessman and he’s not qualified to be President. No mention of why a Chicago StreetOrganizer is qualified. The editors of the Roanoke Times were pleasant enough to print my LTE and I appreciate that. However, their treatment of Mr. Clifton’s LTE clearly reinforces the reason and name for this blog. My LTE was small print and 3-1/2 inches by 6 inches. Mr. Clifton’s rebuttal LTE is LARGE PRINT and 4 inches by 9 inches. The bottom line to this story is that each of us can infer why Obama said what he said; however what he said and the context in which he said it should be clear to even the most partisan Progressive-Liberal-Democrat. Sometimes a simple gesture tells us much about a person! 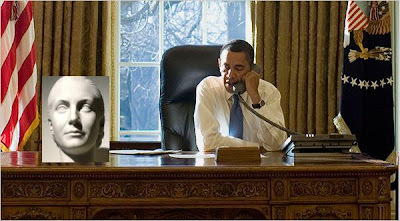 Why wouldn’t Obama want to keep the Churchill Bust in the Oval Office? After all, Churchill, and England, have been our best allies in the world for 200 years. Clearly that Churchill statement alone would be more than sufficient to warrant banishment from Obama’s Oval Office! Obama has embraced socialism over the free-enterprise system and has made clear his disdain for businesses and his preference for big-government socialism. Perhaps Obama will replace the Churchill bust with one of Evita Peron who better fits his political philosophy and ambitions and his inner-self. The CEO of Chick-fil-A has publicly stated his personal view that marriage should be limited to a union between a man and a women. This same CEO made it very clear that the Chick-fil-A business does not discriminate against anyone. This concept that has been adopted by most societies for thousands of years and has been enacted into the laws and constitutions of most states was met with a torrent of condemnation by a long list of progressive-liberals including the mayors of NY, Boston and of course Chicago. There even have been proposals to block and or eject Chick-fil-A from these cities. This Chick-fil-A flap is clearly all about a persons right to differentiate between Tolerance vs. Acceptance. The traditional American standard of conduct has been that we tolerate behaviors that we deem to be NOT-OK but we are not compelled to Accept them! We tolerate liars, cheaters, adulterers and lots of others that we don’t accept. The “old” adage was: I do not lie, cheat or steal, and, I don’t associate with those who do! 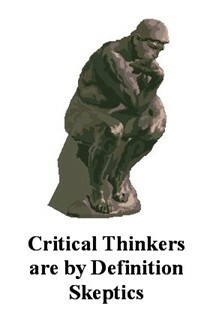 Apparently there is a new progressive-liberal mandate that we have to Accept those activities and behaviors that they designate as OK.
It’s interesting that these are the same people who preach that they set the standard for diversity and tolerance of thought and ideas and behaviors; apparently that only applies if you agree with them, for others, not so much! Sounds a lot like 1984, doesn’t it!